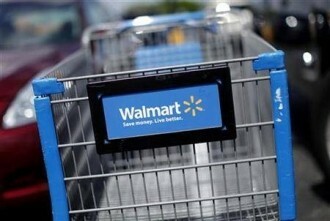 Walmart is in the process of testing a new service that would allow customers to scan items using their iPhone. The “Scan & Go” program would help speed up the checkout process in addition to saving millions each year in cashier wages. A trial run was recently conducted at a Walmart Supercenter in Rogers, Arkansas which a short distance from the company’s headquarters in Bentonville. Employees and their friends and families were invited for a one hour shopping session where they were instructed to use an iPhone to scan items as they shop, bagging the purchases along the way. When finished, the app sends the scanned items to a self-checkout station to accept payment. Paul Weitzel, managing partner at retail consulting firm Willard Bishop, told Retuers that this is probably the fourth technology that retailers have tried to use to reduce costs and improve the shopping experience. Grocery store chain Jewel-Osco once experimented with letting customers use handheld scanners while they shopped but that reportedly ended years ago. The multinational retailer may be known for their low price strategy but one of the chief complaints against the chain is the long checkout lines. It’s not uncommon to find only a few cashiers on duty at any given time while most Supercenters have nearly two dozen or more checkout lanes. Those participating in the program were given $100 for other time and a $25 Walmart gift card to help pay for purchases. It’s unclear if Walmart plans to expand the program to other stores in the near future, or at all.